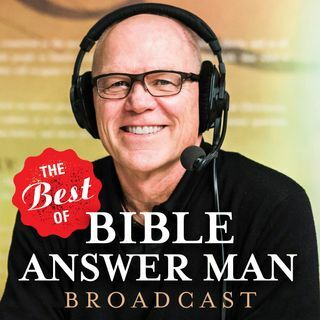 On today's edition of the Bible Answer Man broadcast, Hank quotes from Dr. Philip E. Johnson foreword in his book, Fatal Flaws: What Evolutionists Don't Want You to Know. This month CRI has two special resources to equip you to counter Darwinism: Darwin's House of Cards, and the DVD, Revolutionary: Michael Behe and the Mystery of Molecular Machines. What are your thoughts on the popular ... See More pre-tribulational rapture doctrine? Do you think that Darwin thought that the first living organism that emerged from the green slime had to have the ability to reproduce? What are your thoughts on the doctrine of Christ's blood "running through our veins?" Can you shed any light on Jesus' attitude towards the woman in Matthew 15:21-28? What are your thoughts on the Church of Christ's view of water baptism?